My name is Avidan, a fresh “graduate” of Ivy MBA Consulting services. 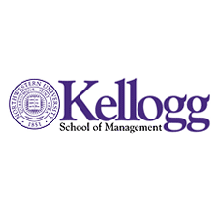 Let’s start with the result: I recently received a positive answer from two of the three universities to which I applied: I was accepted at Kellogg and Berkley, both of which rank among the top-10 international MBA programs. 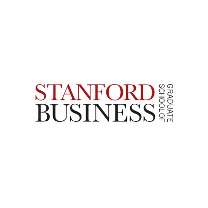 When I chose a consulting firm for the long and demanding MBA admissions process, I had these criteria: professionalism, flexibility, and humanity. Ivy MBA Consulting met all three criteria far beyond my expectations. Professionalism: Ivy’s working principle – that graduates from the university to which you’re applying guide you in getting into the same university – seemed trivial. Only when looking back do I realize the tremendous added value of receiving the right advice, in the right place, from, most importantly, the right person. Flexibility: The MBA admissions process doesn’t happen in a vacuum; it occurs amidst many other things in life. Consquently, it receives your full concentration only before deadlines. The Ivy consultants were very flexible and exceptionally responsive. The entire work was scheduled to fit my agenda, and the work style was adjusted to my preference. Humanity: Let’s face it – the admissions process is not very enjoyable. Yes, it is instructive to stop and think about what you want in life, but it isn’t easy capture that in an essay on, for example, “What do people admire in you?” The fact that they have experienced this process and remember its obstacles, difficulties, and opportunities allows your Ivy advisors to support you not just professionally but also personally. The friendly remark or words of encouragement do help a lot. In summary, the two dominant factors in any process of life are the way and the result. Ivy MBA Consulting excelled in both! Many thanks to all members of Ivy MBA Consulting and good luck to everyone! I’d be happy to provide further details and answer any questions. You can reach me at avidan6@hotmail.com.